Here’s a great example of a blues song using less common chord shapes and some nice variations on the basic 12 bar blues. If you’re not yet comfortable with the 12 bar blues click here to get up to speed then come back here. You can see that this progression is still a blues because it has the right number of bars and the big changes occur in the usual places, but there’s quite a movement away from the usual basic structure. You might not choose this song as the first port of call in a blues jam ‘cos it might alienate some of the people who don’t do fancy. 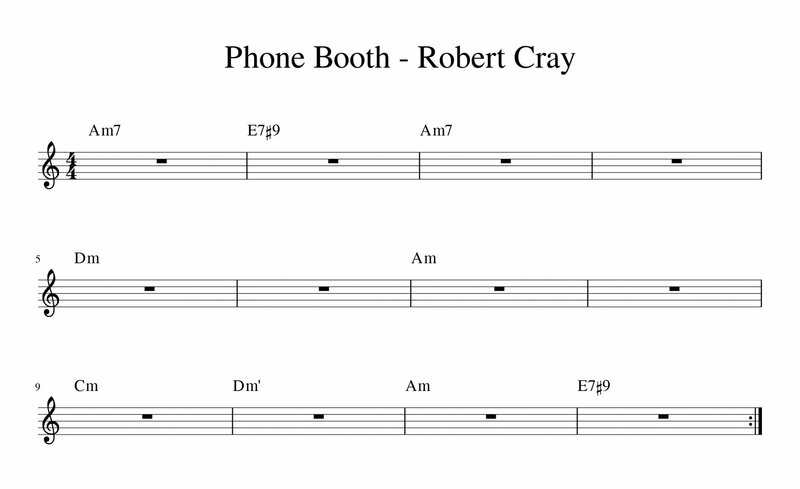 I include it because its such a good example of how you can clearly play a blues without really being restricted. If you stretch things any further you end up with stuff like Everything Must Go by Steely Dan. Now, to me this is clearly bluesy, but have a listen and see if you think it’s a blues. You can leave comments below.